When I was young, my father, a rabbi, would roll up his sleeves in front of an open Talmud and spend four or five hours putting different postulates and corollaries together as though he were building a road in ancient Rome. It wasn’t easy, but he was determined. He would concentrate unrelentingly on the words and sentences until he fashioned a pshat – a line of reasoning – to make things work. Lazy thinking was as far from him as Queens was from the Pacific. He was the whole world to me, and I yearned to know what he knew, to be like him. But he and I were too different; we still are. My father is thoroughly God-centered and deeply committed to mastery of religious texts. He is a man of principles, scholarship, organization, planning, and goals. I, on the other hand, am both less scholarly and less organized along rational principles. I cannot be like my father, as much as I may have awkwardly, painfully tried. While Rabbi Shkop was spending his final years directing a Talmudic academy in Grodno, Belarus, a tight-knit community of theoretical physicists not so far away was discussing a strikingly similar problem. Instead of a married woman, however, the subject was a cat. It was the summer of 1935, and Erwin Schrödinger’s thoughts were preoccupied with the fate of a small cat that had somehow been trapped in a metal box with a glass bottle of cyanide. A small hammer hung precariously over the bottle, attached to a kind of Geiger counter, on top of which sat a substance containing a single atom of some radioactive material (my guess would be nitrogen-13). The cat was certainly in danger. As soon as the atom would decay, the Geiger device would drop the hammer so as to smash the bottle, releasing the cyanide and killing the cat. I recently suggested in Part 1, Part 2 and Part 3 of my discussion on Arminianism and Calvinism, as well as in a blog post about the potential for unknown qualities of the Bible, that the Word of God may have more to it than meets the eye. 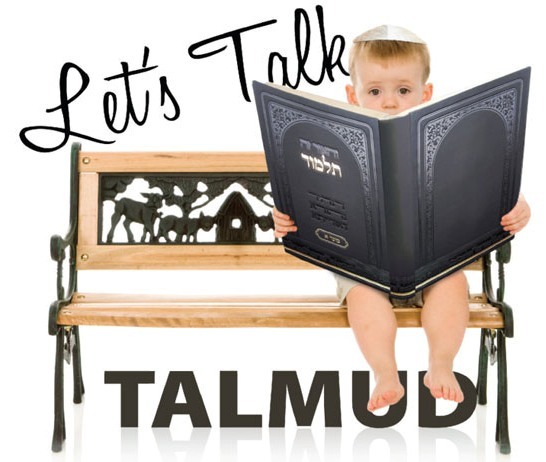 I know “Talmud” exceeds the definition of “Torah” or “Bible” for most Christians by quite a bit, but I’ve been having a small discussion with someone named “ProclaimLiberty” on Sunday’s and Monday’s “meditations,” and they seem related to how we perceive the Jewish authority relative to the Bible (and Jewish authority as it exists after the Biblical canon closed) as well as the nature of the Bible and the supernatural itself. While the quote from Dr. Feuerman’s article illustrates a simple desire to gain a traditional Jewish understanding of Talmud and thus Jewish thought (though like Feuerman, it may always be beyond me), Rabbi Freeman’s article (which is exceptionally lengthy) manages to compare the dynamics of Talmud study with Quantum Physics. I never thought of those two processes being related in any way, but Rabbi Freeman makes a compelling if complicated case. But what does that have to do with anything, especially a Christian’s understanding of the Bible? Well, the Pentacostal and Charismatic movements re-introduced the notion that revelation did not necessarily cease 19 centuries ago. Of course, that notion also has been abused terribly to justify everything from charlatanism to insanity. Re-introducing the notion of messianic Judaism also was difficult 4 decades ago, and it is still resisted in some quarters. It could be viewed also as having been already abused in some measure. Thus I understand very well your sense of the difficulty about re-introducing a notion of the continuity (more than merely a restoration) of Jewish authority. It has been hard enough to convey the idea that Jewish believers are entitled to be something more than or different from merely some ethnic expression of Christianity. But this suggestion derived from Matt.23:3a undermines a fundamental viewpoint underlying the Nicene Council and the creeds it developed. It opens a door to a very scary world in which large segments of Christian doctrine could need to be re-invented. Furthermore, it threatens to unleash another wave of Christian guilt over its historical treatment of Jews. On the other hand, theologians love that sort of challenge; and if Christianity hasn’t learned how to request and accept forgiveness, something truly is fundamentally wrong (though there may be some need to learn a bit more about how repentance and atonement work). 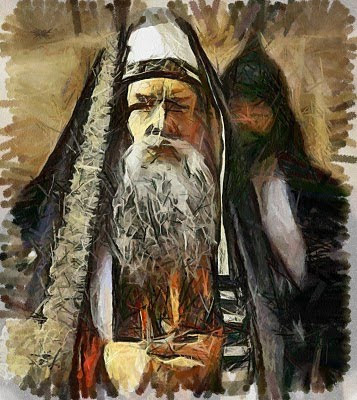 I invite you to read the entire exchange of comments to get the full flavor of what was discussed, but PL brings to the table the compelling suggestion that Jews didn’t lose the authority provided by God to issue binding halakhic rulings after the Biblical canon was closed sometime in the early centuries of the Common Era. Christians are almost universally going to reject that idea, but it’s at the heart of Jewish religious observance and Talmudic study within Messianic Judaism (as well as the other streams of Judaism today) and is based, interestingly enough, on a Biblical principle found in Matthew 23:3 (though I’ve yet to hear a Christian interpret that verse in such a fashion). Of course, even if the notion of Jewish authority continuity were wholeheartedly adopted, there would still be a lot of analytical work to do examining how it might apply to non-Jews, and in what measure. Along with that analysis is one that would examine how a number of statements in Jewish literature were developed. For example, some statements were polemical responses in defense of Judaism under the pressure of Christian assault. While we don’t throw away such opinions in Judaism, we do at times limit their applicability and effectivity to specific circumstances, even when they were responsible for accepted elements of halakhah. The “analytical work” involved to “examine how a number of statements in Jewish literature were developed” and the application of some of the more difficult Talmudic statements to Messianic Judaism (let alone non-Jews involved in the Messianic movement) has yet to be done, at least to any significant extent (to the best of my knowledge), but I believe a whole world of study would open up to Christians if we could just see the Bible from the perspective PL seems to represent. PL was less than impressed by what he calls “esoteric mystical perception” as he commented in our conversation in my other meditation, but then, he’s had some rather unique experiences in that area as well. However, I still maintain that the Bible is more than the sum of its parts and, as Rabbi Tzvi Freeman has remarked, (and I paraphrase) the Torah is not a book about what God thinks about so much as an illustration about how God thinks. Reading Rabbi Freeman’s commentary on Talmud study and Quantum Physics, I’m convinced I’d never make a good student of either discipline. I must however, admire a mind that can grasp even the very basics of both. Today’s “meditation” probably seems a little “over the top,” even for me, but since reading Rabbi Freeman’s article on Talmud and Quantum Physics last week, I’ve been periodically considering the implications if any portion of what he presents can be said to be relevant to non-Jews outside the stream of Jewish thought. Back when I was an undergraduate for the first time in the early 1970s, I took a few astronomy classes. I might have considered making a career out of it if I could have handled the math. However, among the things I learned in my beginning astronomy class, I learned that we can consider light as both as a wave and a particle. Depending on how we consider light in terms of the math involved and under direct observation, it can behave either as one or the other. Depending on the circumstances of human investigation, we treat light either one way or the other. In quantum physics, a particle has a potential for a number of locations in space until we observe that particle, then it appears in a single location only, and from that location, we can trace it back to where it must have been. But why does its location only become fixed when we observe it? What is happening to the particle when we don’t observe it? As I asked before, what does any of this have to do with the Bible? The Bible isn’t a particle (or a wave) of light. 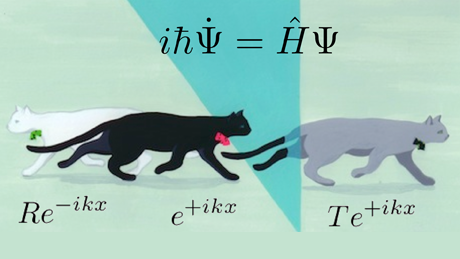 It exists in the “macro” world and just like Schrödinger’s hypothetical cat (no, he never put a real cat in danger…it was a thought experiment), we can’t actually apply what we know about subatomic particles to objects like cats and Bibles in our world. Unless you consider the study of the Bible (like Talmud study) to be somewhat “transcendent” of the world we live in. I admit that his all requires more mental gymnastics than I am capable of, just like a career in astronomy (I probably would have specialized in cosmology or the study of the origins of the universe, but I wouldn’t have ruled out planetary astronomy), but just like astronomy, I find the more esoteric aspects of the Bible to continue to be compelling in my present-day life. All this complexity of thought (some of you may see this as unnecessarily complex) comes down to something very simple and something I’ve said before. I think it’s possible for the Word of God to contain far more than we imagine. I think that if we treat the Bible as far more than just a book full of ancient writings, it will “behave” in that manner. Oh sure, I know this could easily lead to people projecting their (our) desires and imaginations onto the text, reading what we want to read in-between the lines, but what if God Himself put something in-between the lines for us to find? What if it takes someone with the mind and imagination of a Talmud scholar or Quantum physicist to find the place in-between the lines (and that someone would not be me)? What if that “something” holds the answer to questions like the Calvinism-Arminianism debate or at least provides us with a perspective that throws said-debate clear out of the fifth floor window, defenestrating the very idea that human beings can turn the Bible into a “cookbook” containing Calvin’s and Arminius’s separate “recipes” for salvation? Also, you should watch Nehemiah Gordon’s presentation on You Tube concerning a possible mistranslation of Matthew 23:3. It is a long lecture but worth watching. Shalom! Greetings Mo. Welcome to my humble blog. Thanks for your comments. Usually the Baptists I hang with don’t do a lot of yelling. I do meet frequently to discuss a great many things with my own Pastor, and he’s very patient with my ideas and perspectives. Keep in mind that my opinions, especially in this blog post which deals with the out-of-the-ordinary perspective on the Bible, aren’t me saying this is how it is, only this is how it might be. However, I believe there’s more than meets the eye about the “Jewishness” of Jesus and how that translates into the world of Jewish and Gentile believes today. I hope you’ll stick around and read more of my “morning meditations” and let me know what you think. Thank you for your reply. I’m glad you know some good Baptists and that your pastor is willing to talk with you. That is a very good sign. I will certainly visit your blog again. I enjoy discussion of Jesus. Incidentally, I have been researching the “Armor of God” from Ephesians. Isn’t it funny that when we see an illustration of The armor of God it is usually a Roman soldier’s garb? I am reading articles that say it could be referencing the priestly garments instead. Using a Roman soldier to display this godly armor would be like using a jihadist by today’s standards. Just a thought.